I live in Allahabad, the town of the confluence of the Ganga, the Jamuna, and the mysterious Saraswati. This last river takes its name from the Hindu goddess of learning, the arts and creativity. 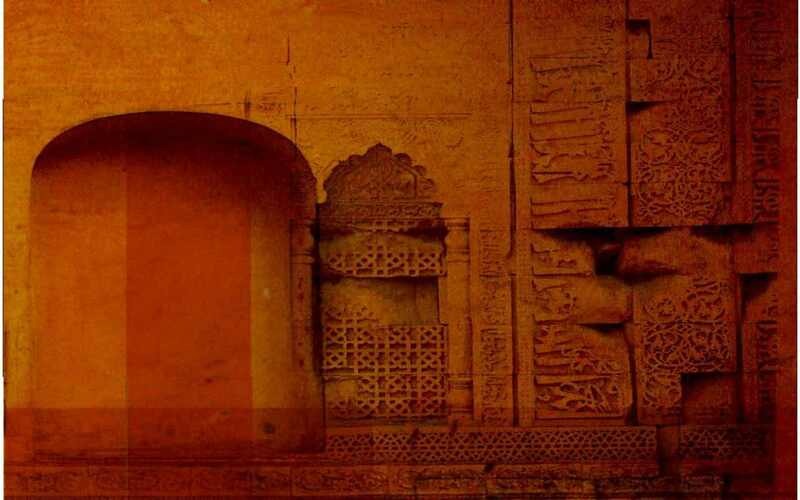 This ancient town has attracted learned men, artists and authors just as it has drawn spiritualists and sages. The Kumbh Mela, a fair, which is held at the confluence once every twelve years, is perhaps the biggest assemblage of humanity one might hope to encounter. Strangely, time refuses to move on in Allahabad and year after year the same kind of anonymous people, the same little nothings that amuse the crowds, the same unchanging fashions reside in the confines of this exquisite geographic setting. I have liked the ethos of this place. It allows you to remain content, without hankering after the world of prosperity and glamour. The University of Allahabad, where I teach English, blends well with the town and provides enough stimulus for the mind and the soul. This university was once the Oxford of the East, now it has a more native character. It does provide that blessed ambience in which one is gently led on into the terrain of the spirit rather than remaining glued to the intellect alone. The Tailor’s Needle had to be written. The youngest of five brothers and sisters, I grew up under their shadow, often watching their achievements with consciousness of my inadequacies. It was a situation in which I was compelled to think, feel, and intuit. I had heard stories of people of earlier generations – people who were extraordinary and who were now becoming an extinct lot. Noticing the vast difference between them and my own contemporaries I thought it a duty to pass on what I had heard about the past for the benefit of the future. If you ask what we are made of, apart from the flesh and blood that informs our bodies, one answer can be – stories. We get our identities largely from what we have been told about our past. We are what our stories have made us. It is for this reason that history is such an important subject; it takes us back to our past. But history has always bordered on fiction. For who can narrate without distortion of truth? But through fiction, we can actually get a glimpse of the past, the truth of the past. The Tailor’s Needle is such a novel. It contains much truth about India’s colonial past. I hope you will read it and enter the past of a particular phase of history when ambitions soared and bred racial interaction with a vengeance. People from different parts of the globe noticed each other and often desired to taste the otherness of the other. Some merely got baffled by the other, some managed to defeat the other, some blended beautifully with each other. The Tailor’s Needle has resulted from the need to tell the world how we became what we are today, what were the forces that contributed to our present. The present has resulted from a situation that was wretched, but it has emerged from conditions that were equally funny. This is the stuff that seems to lie behind the making of The Tailor’s Needle. PRESENT TIME is timeless because it is the sum total of the whole history of time and beginning of the entire future. individually suggest to my friends. I am confident they’ll be benefited from this site. Thanks, Suryansh Ratna. I am grateful for your interest in my work. ….the selection of words you write sir, to convey the feelings is so convincing every time. Sir I’m waiting your next book.That is story between the two spiritual cities called Allahabad and Varanasi. I need your good wishes to be able to complete it in the next six months. Thanks so much, Ashutosh. Thanks for that sweet comment, Garima. Enjoyed reading & participating in the launch of your book The Tailor’s Needle ..!!!! ..Thank you for taking us back in time to the great history of our town .Look forward ..& wish you the best on all your future endeavors in authoring books in future too ..loving your blog . Sir I am very curiously waiting to read Saba and Nisha. How can I get a copy of it?? Sir I am writing curiously to read your book Saba and Nisha. How can I get the copy of the same? Thank you sir ,I found good learning from “Marriage are made in India”and curious to read sabba and nisha.It will be great opportunity to us thy reading,we might be with you as used to in allahabad university. I wana read the emotions n thoughts u have given in this novella. I am curiously waiting Saba and Nisha. A story of two spiritual cities Allahabad and Varanasi . Many many congratulations respected sir.. Absolutely outstanding story,sir,you can imagine the height of my interest towrds the story when I started reading it ,I just wnt on reading for 3 and half an hour untill it was completed. 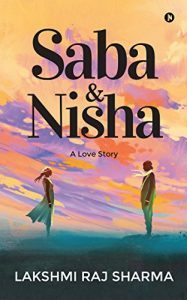 Really a very appreciating work,the story has raised so many social issues of cuurent scenario,on one hand it has represented the barriers and problems between a marital relationship of hindu and muslims,matrealistic wishes of Nisha and her mother Mohini,in the course of being modern and new woman they were far away from the emotional feelings , love and culture. whereas on the other hand it has represented the strong character of Saba and her mother Maher.Saba’s amiable character and the cultures that she has got from her mother makes her a real beutifull girl and closer towards emotions of people unlike Nisha.Rahul and his family show a good example of an ideal family that everyone want to have. Agnihotri’s character is well fitted according to the today’s ruffians,mawali and rapists ,while reading his plans to harm Saba anyhow really created a shivering. But the most strongest character or the heroine of the play i must say is Saba’s mother.Living in Indian society it is beyond of thinking far a lady to be an unmarried woman and look after her child.But she did it firmly,her sacrifices after knowing Sndeep’s marriage shows her deepest love for him and never blaming him shows the trust on him.Her struggle with Agnihotri to save her daughter was really appreciating and it shows that if a woman committed she could protect of herself from these monsters. At last i would like to thank LR sharma sir to gift us a very beautiful story,a full package of love,social issues,family relations etc. Thanks a lot for your interest in my novella. Please tell others about this gift from me which they are all entitled to. I have visited several time to your blog sir but today is first time I’m going to say something about your blog. Here lot of educatable stuff for making our knowlege strong. I have found here some poetry section from our course. 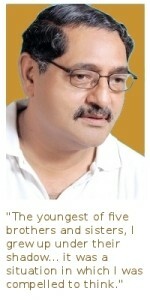 From today I have been regular reader of your blog Sir. thank you so much sir…your blessings are always sought..
it’s really an honour to b your student sir…. I read these posted very excitedly… thnks for all your posts sir.. It makes me very proud when I think that I am reading in the University that has such a Novelist, literary figure, and an intellectual at present..
Sir, your blogs posts and pieces of advice are an inspiration for us…..